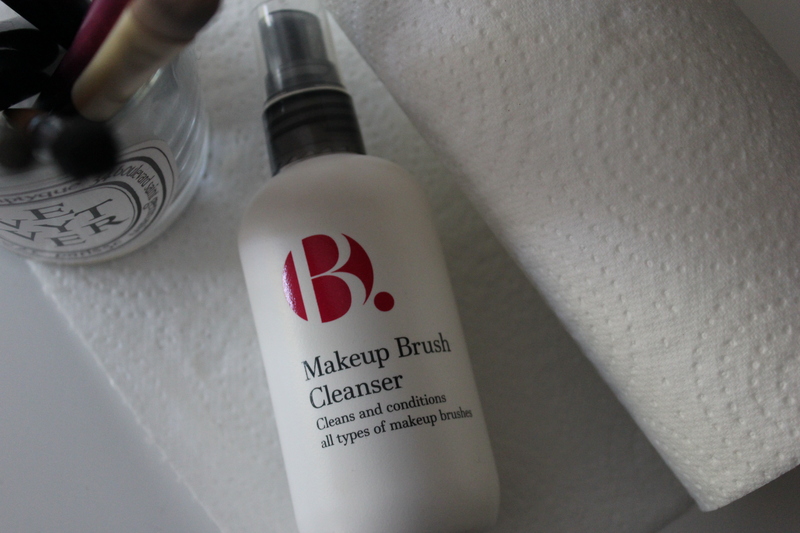 Hi friends, today I’m bringing you our very first requested post – how to keep makeup brushes clean! 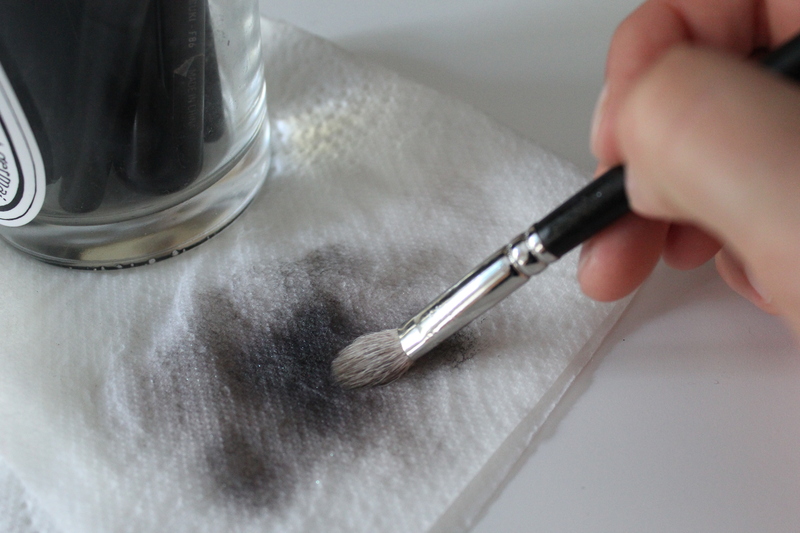 Blending eye shadows with dirty brushes can mean your otherwise perfect look comes out muddy, and unwashed foundation brushes are a breeding ground for bacteria. 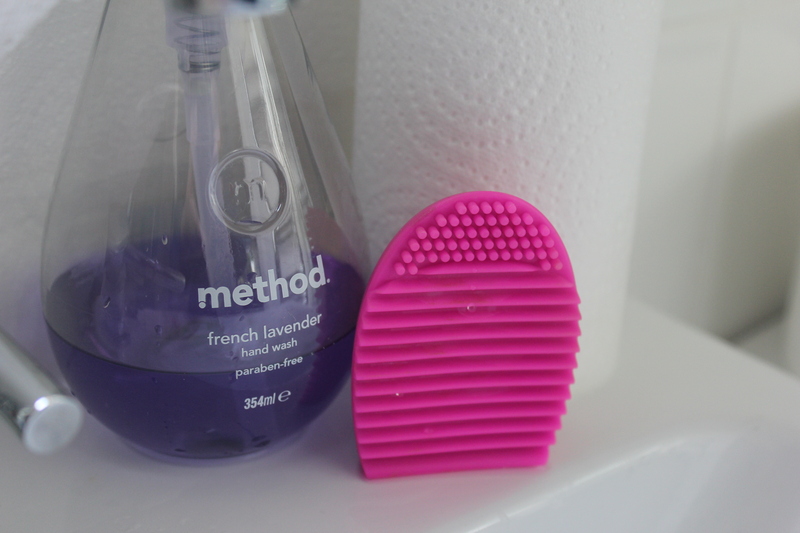 Read on for my personal tips on keeping skin healthy and eye makeup funky fresh! Use spot cleaning as and when you want. 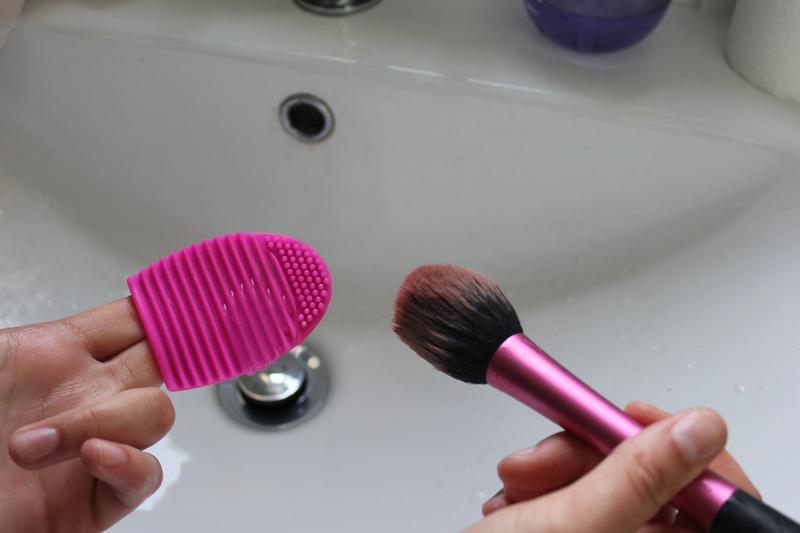 Its aim is to quickly remove any residue on your brush in order to use a fresh colour. (E.g. 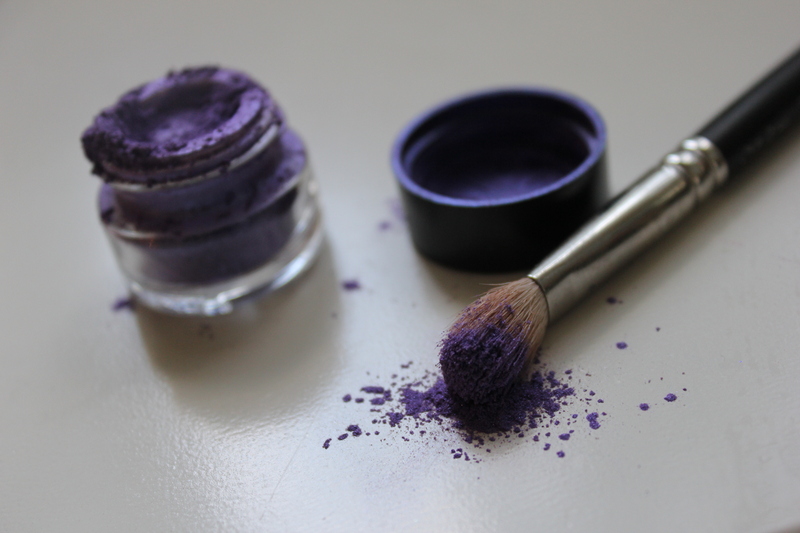 You want to use a light colour but your brush is covered in dark purple.) 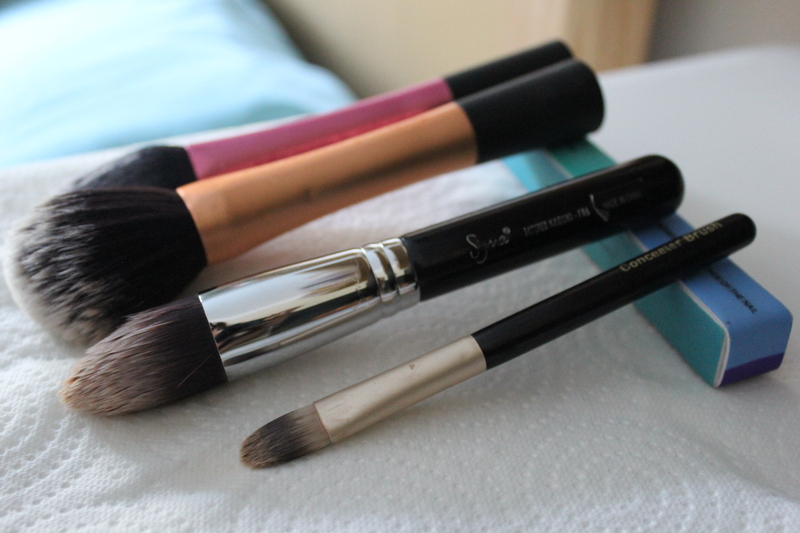 Brushes dry much faster after spot cleaning than after deep cleaning. Spritz the brush bristles with the brush cleaner. Swirl the head onto the kitchen roll and you should see colour transferring immediately. 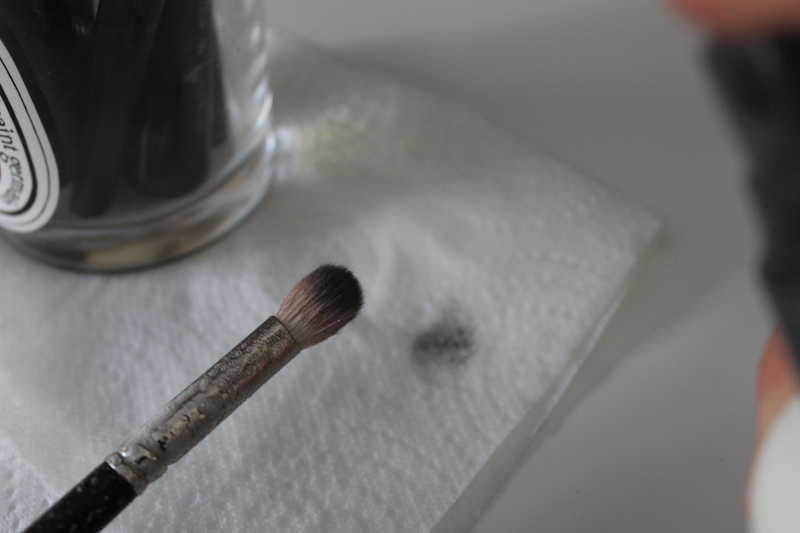 Continue until you’re happy with the cleanliness of your brush. 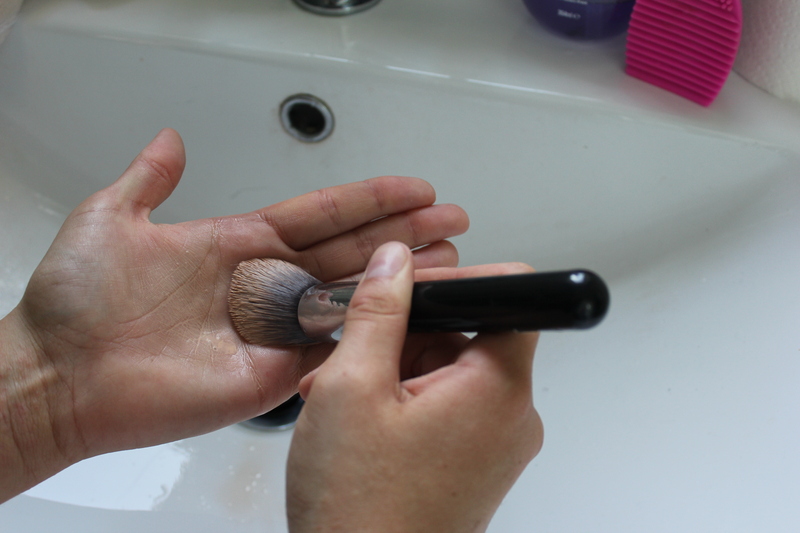 This routine should be carried out on all your brushes around once a week (theoretically speaking). 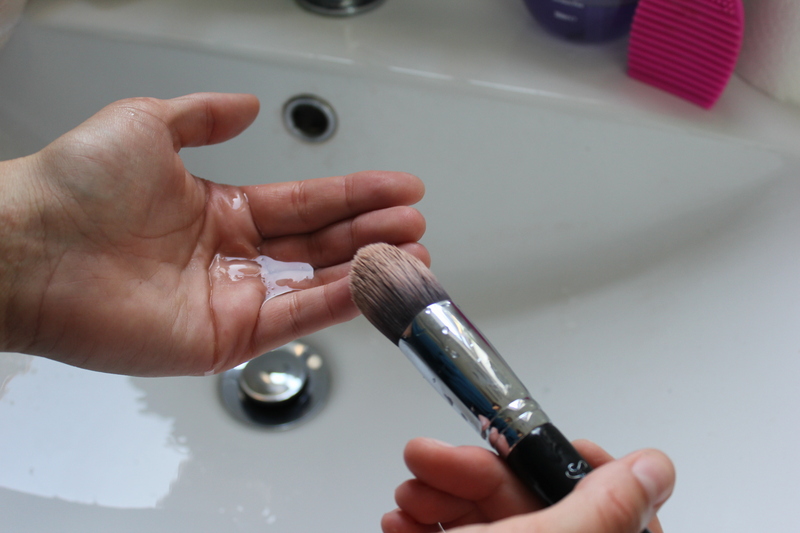 When using water to clean your brushes, you must be aware of the ferrule – the metal segment inside which the bristles are glued. If you use hot water, the glue may melt causing bristle loss. If you leave the brushes to dry standing upright, the water can run down into the ferrule, weakening the glue and again causing bristle loss in the long run. So BE CAREFUL OKAY. Squirt a pump of the soap onto your palm (or brush cleaner). Swirl the brush around in your palm (or use the ridges of the brush cleaner to get deep between the bristles) and you should see the soap take on the colour that was on the brush. Rinse the brush under cool water. 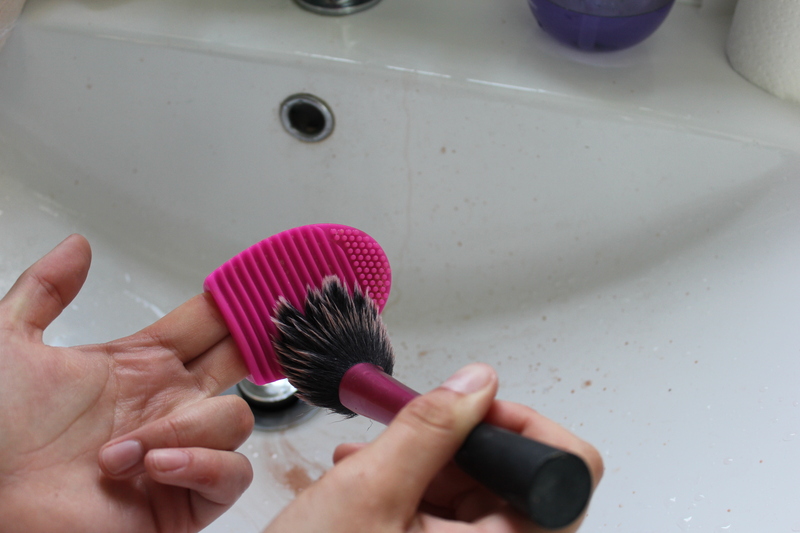 Repeat the process until the brush can’t get cleaner. Ensure the brush is free of soap suds with a final rinse. 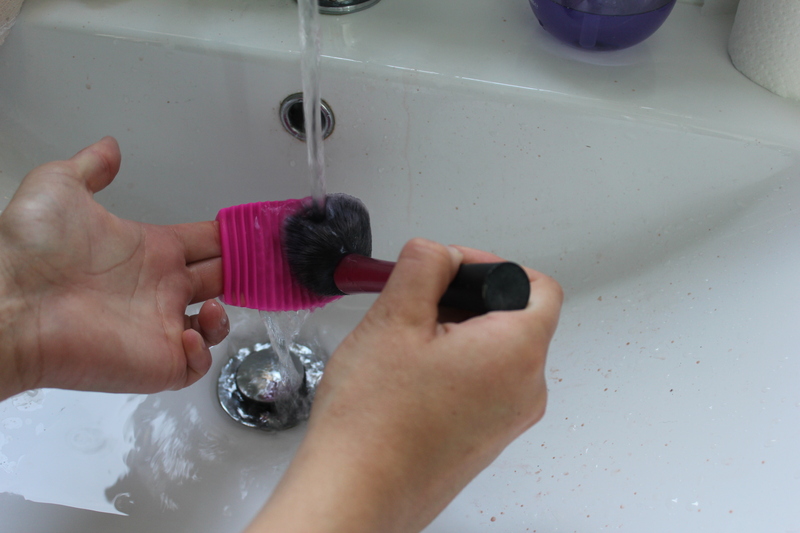 Squeeze as much water as possible out of the bristles, reshape them, and lie the brush down on kitchen roll. 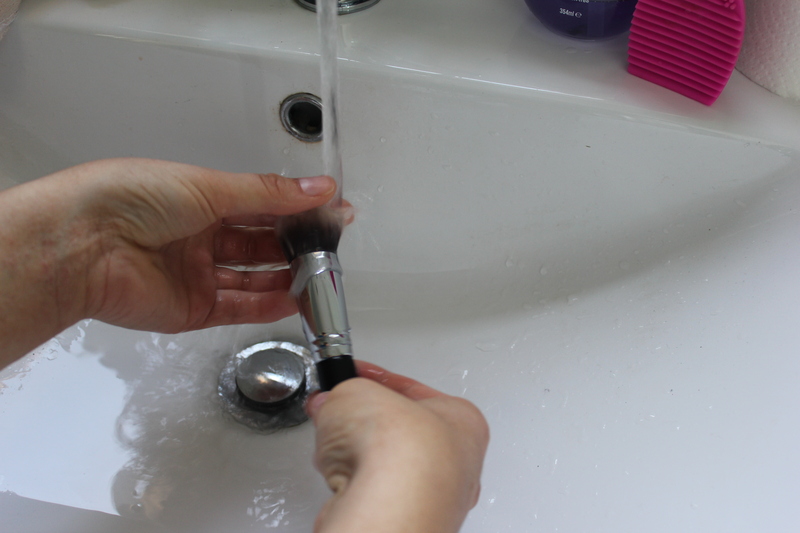 Use something to prop up the end of the brush so that it slants downwards, allowing the water to run out of the ferrule. I hope this was helpful, and please don’t hesitate to comment below! 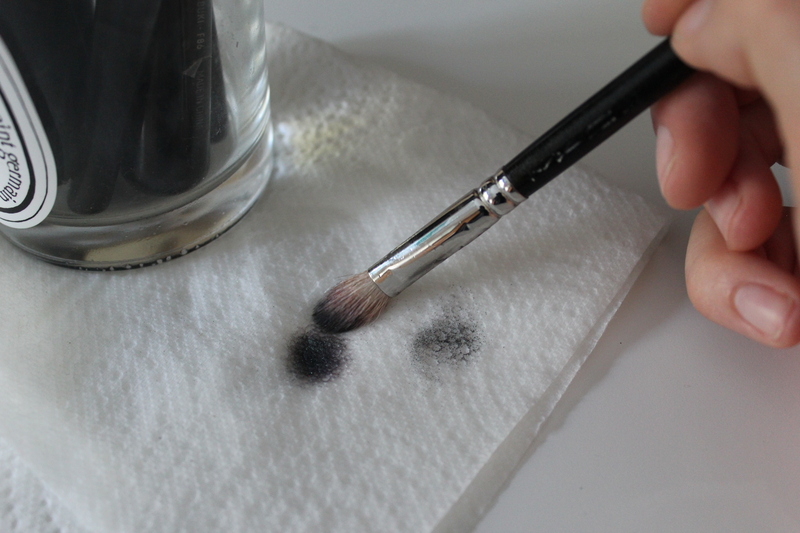 I’d love to know how you clean your brushes and whether I can improve my method.